The Oceania Project chose Hervey Bay, situated on the south east coast of Queensland Australia, to undertake a long-term study of the Humpback Whales that visit the Bay from July to November each year. Since 1988, Trish & Wally Franklin, aboard The Oceania Project's Annual Whale Research Expedition, have photographed and filmed the Humpback Whales and have recorded their evolving Songlines. Their research explores the complex social dynamics of Humpback Whales and the social significance of Hervey Bay for the Whales. The intricate black and white pigmentation patterns and body markings of individual Humpbacks, the size and shape of their dorsal fins, the edge of the fluke (which acts like a fingerprint) have enabled Trish to document and record the remarkable lives of hundreds of individual Humpback Whales who migrate annually up the East Coast of Australia. Trish & Wally have endeavored to capture and present the magic, mystery and depth of the remarkable interactions occurring between Humpback Whales and Humans. 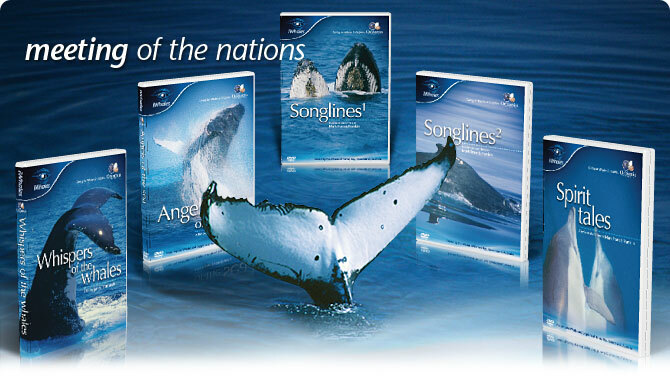 In these DVDs, you will meet some very special individual Whales, listen to the complexity and power of their extraordinary songs and marvel at the one-on-one interactions between these incredible creatures and the people aboard The Oceania Project's Expeditions.